Depth : Greater than 24"
You can use a variety of different heating solutions in your home, and wall and baseboard heaters are an option you should consider. Wall furnaces allow you room-specific heating that can save you money, depending on your habits. PlumbersStock offers the best prices on the web so when you need solutions for home heating, this is the place to be. Shop and save on all the heating/cooling products you could possibly need. If you are looking for whole-home furnaces, we have plenty of discount options for those and all HVAC parts. Williams wall heaters are available as a high-efficient direct-vent furnace, vent-free or electric. A high-efficiency, low-profile direct vent furnace can be installed almost anywhere. 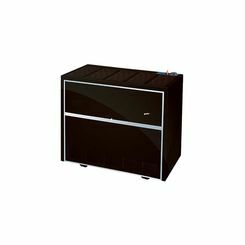 These units are great for homes, apartments, offices, garages, and room additions. 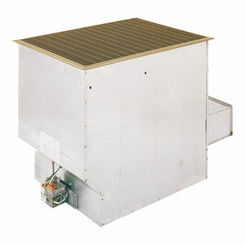 Direct-vent furnaces require no inside air for operation making which is ideal for safe operation. 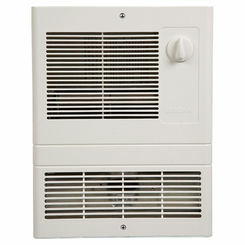 Direct vent wall furnaces are perfect for traditionally hard-to-heat areas, such as basements and home additions. 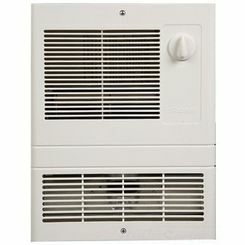 Because this type of unit is not connected to central ducting, it can be added to virtually any room. 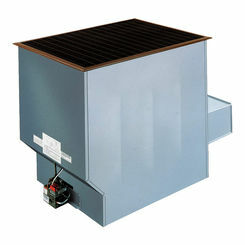 One of our most popular options is this Williams Forsaire top vent counterflow furnace. An electric home heater is beneficial in those areas where natural or propane gas is either difficult to get or is inconvenient to install. 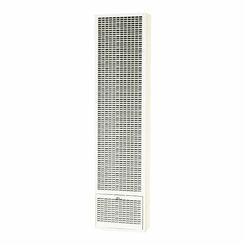 Freestanding or recessed, the electric wall heater receives air at ceiling level, warms it and quietly delivers it at floor level to give an equalized floor-to-ceiling temperature. It installs easily and inexpensively. 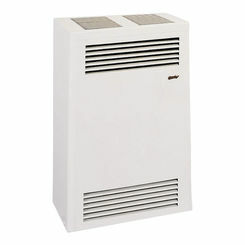 A vent-free heater is an option without the need for venting or electricity. These units are 99.9% efficient with low fuel consumption and quiet operation. 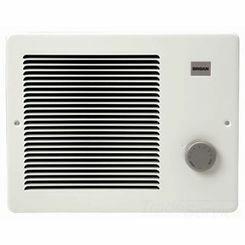 Vent-free simply means that the gas heater or fireplace is not vented to the outside. 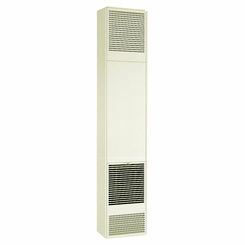 Vented heaters bring in air from the outside, and then exhaust the combustion byproducts to the outside. 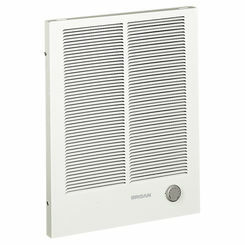 Vent-free units burn inside air, do not require a vent, and are safe to use. Most people already have other vent-free gas appliances in their home now, such as a gas stove, oven, or dryer. None of these need to be vented because Liquid Propane gas (LP) and Natural Gas are very clean burning. Yes, there are tiny, tiny amounts of carbon monoxide and other gases that are released into the air, but these amounts are regulated by the EPA. 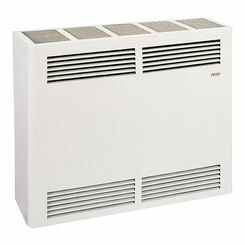 A Slant/Fin electric baseboard heater is a heating system in which the heating elements are installed in longitudinal panels along the baseboard of a wall. The electric baseboard heater is the number one choice for low-cost installation, and the quiet operation makes it the preferred heater for bedrooms. 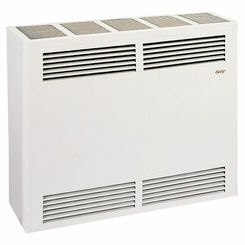 The electric baseboard heater uses convection to circulate air. 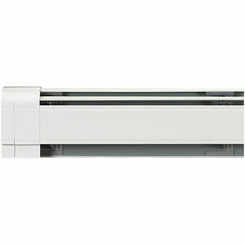 By superior design and proper placement under a window area, the electric baseboard case causes air to flow naturally. The cold air falls from the window area as the warm air rises from the heater, causing the air to tumble gently throughout the room. Hydronic baseboard heaters use heated water or another liquid to control the temperature in a room or area. Positioned along the base of a wall, these heaters draw in cool air at the base, which is heated and pushed out of the top of the heater to warm the room. 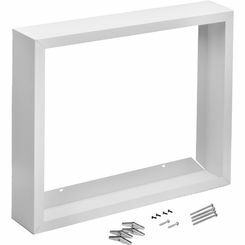 Low external operating temperatures allow them to be installed flush against a wall or baseboard without damaging the structure. The technology behind hydronic heaters has been used since the 1940s and has evolved from cast iron radiators. 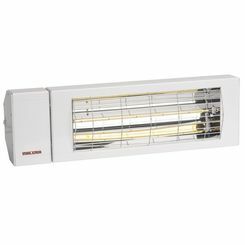 Modern heaters of this type are lighter and easier to install than their predecessors. In a built-in system, water is piped from a central boiler to the baseboard heaters, with a return pipe channeling cooled water back to the boiler for reuse. 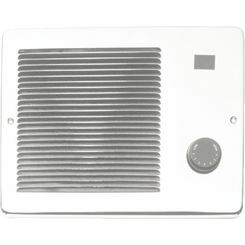 Heaters can be separated into zones, with thermostats for each area, allowing for better control over the temperature. This type of system is permanent and is usually added when a house is being built because the plumbing involved makes it difficult to add to an already existing structure. Shop PlumbersStock for the best deals on natural gas and propane wall furnaces, as well as radiant heat baseboards. These items will keep you warm in the cold winter months and offer you an alternative to traditional home heating with their dreaded traditional utility bills. Contact us if you have any trouble finding the parts you need.